It’s finally here ladies and gentlemen, the much anticipated, highly gossiped-about Huawei P30 is launched at Huawei’s conference in Paris. This is the third entry to the camera-centric flagship P series, and it boasts much better camera setups than its predecessors the P20 and P20 Pro. 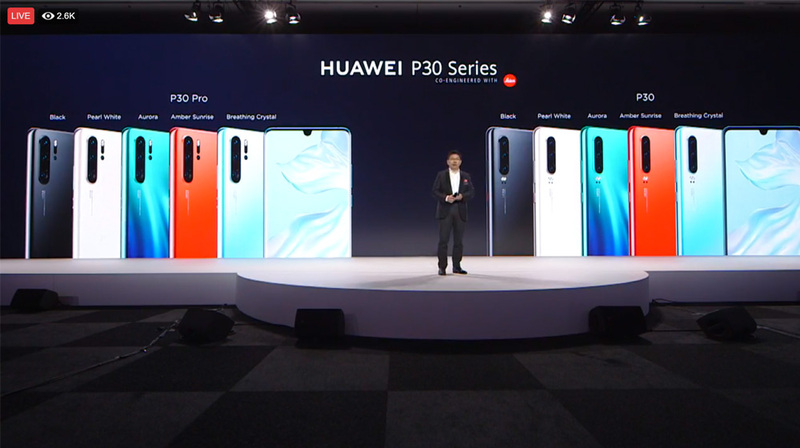 The Huawei P30 comes with a triple-lens setup – 40MP + 8MP telephoto lens + 16MP ultra-wide-angle lens. The P30 boasts an impressive 30x digital zoom. 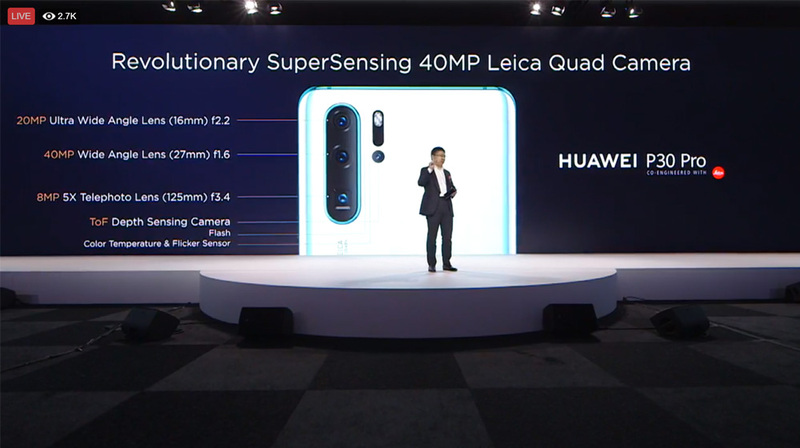 Meanwhile, the Huawei P30 Pro features a whopping four-lens setup; one of which is a periscope lens, making the P30 Pro one of the first phones to feature the technology. The phone also sports a 20MP ultra-wide-angle camera, a 40MP wide angle lens, an 8MP telephoto lens and a ToF camera. When it comes to video, both models feature Huawei’s Dual-View Video feature which utilizes two lenses to capture two separate videos. 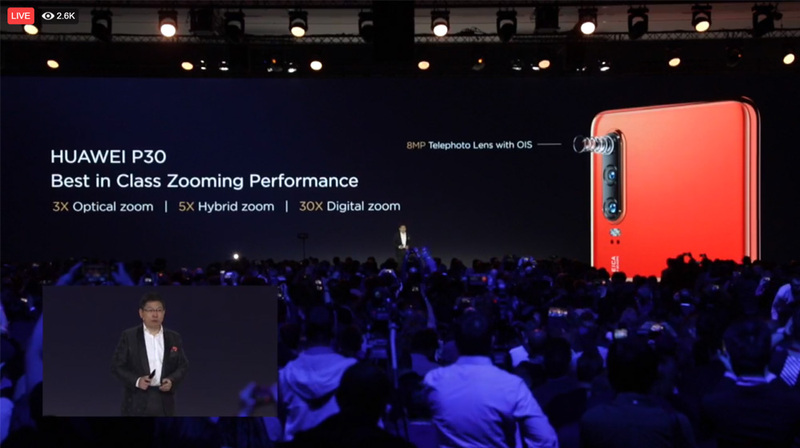 The P30 comes with a drop-notch 6.1-inch display while the P30 Pro is a much larger 6.47FHD display. The P30 features a curved glass back, the P30 Pro features fully-curved edges. Both phones are powered by a Kirin 980 chipset, making them bona fied flagships. Feature-wise the P30 Pro features the much-needed wireless charging support as well as reverse charging. 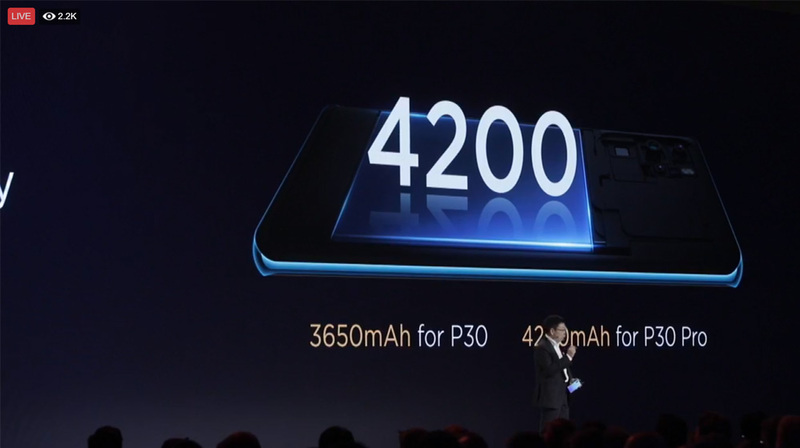 The P30 only comes with the standard SuperCharge 40W support. There’s also a in-screen fingerprint scanner as well as face unlock. The P30 comes with a 3650mAh battery while the P30 Pro is equipped with a 4200mAh battery. Both models sport Type-C charging. 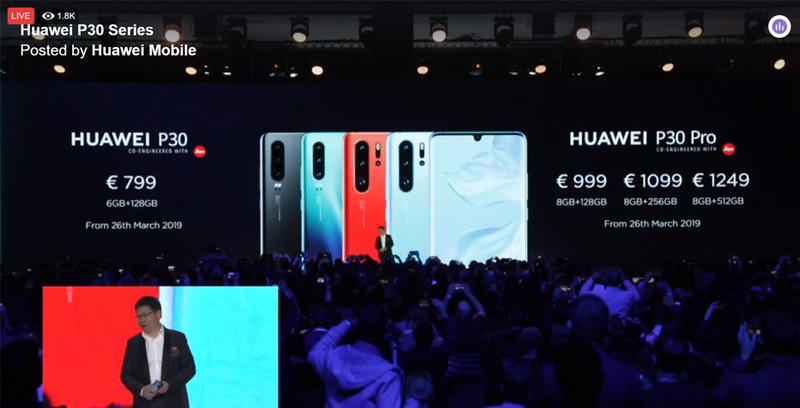 Huawei P30 comes with only one variant – the 6GB + 128GB internal storage, which is priced at €799; while the P30 Pro will be available in three configurations – 8GB RAM + 128, 256, or 512GB internal storage, and will be priced from €999. The phones will be available in five color options – Breathing Crystal, Aurora, Amber Sunrise, Black and Peal White. As for Malaysian release dates, reports suggest that the phone may be available sometime next week.